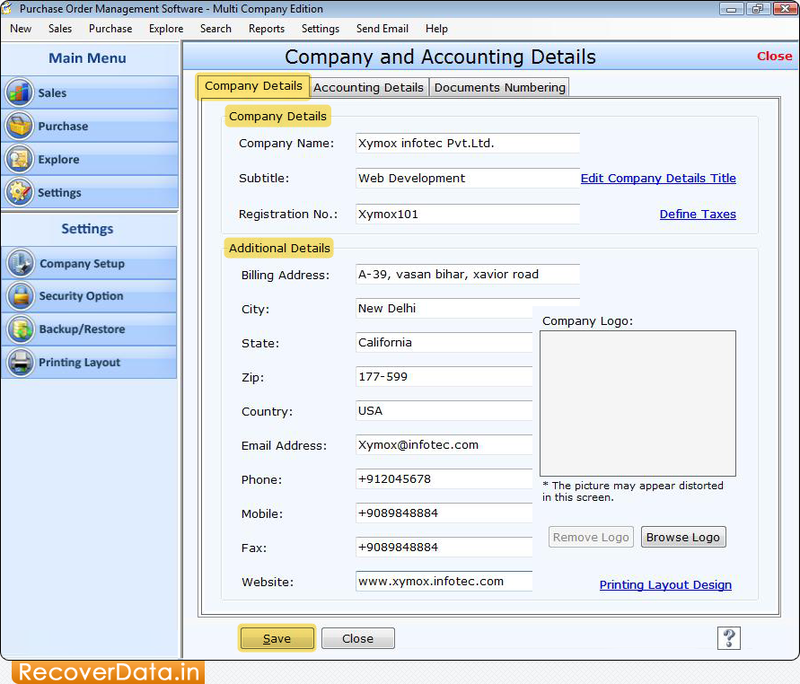 Enter 'Company Details' and 'Additional Details' which you want to create. To save details, press 'Save' button. 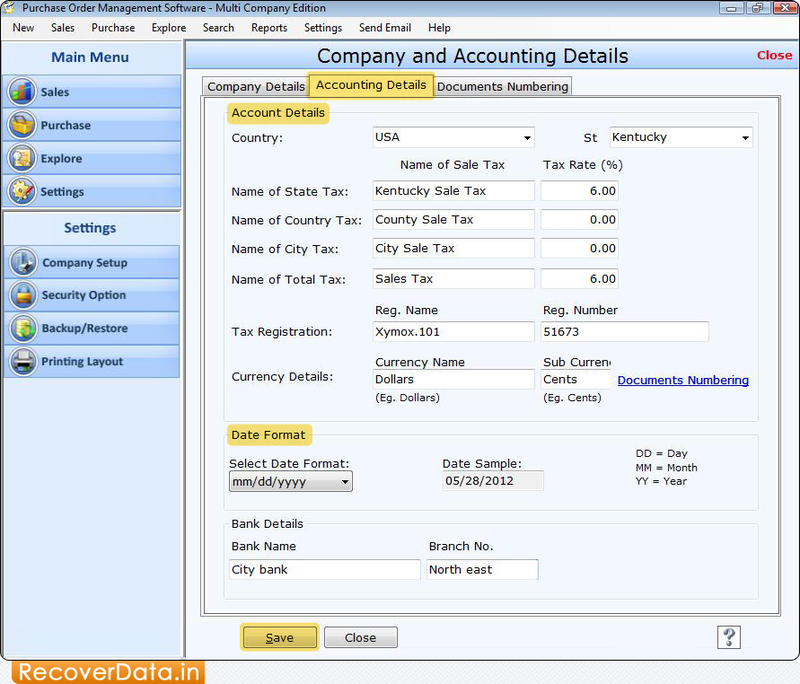 In 'Accounting Details' wizard you can enter account details with 'Date Format' of your company. Click on 'Save' button to save account details. 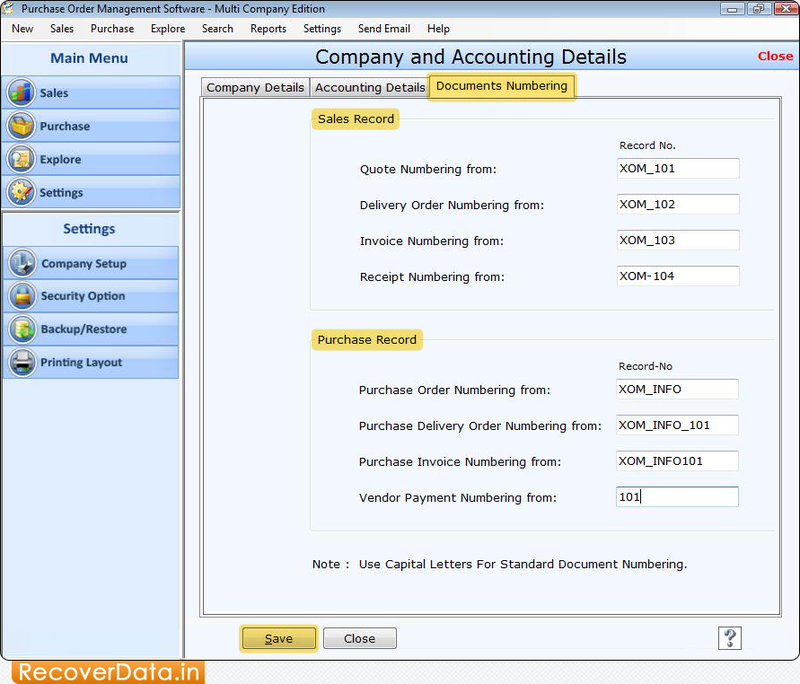 Enter Serial number of sales and purchase records and save those records by clicking on 'Save' button.